Here is a timeline of historic events in Emerson-Garfield Neighborhood. It was first developed as part of our Neighborhood Planning effort. 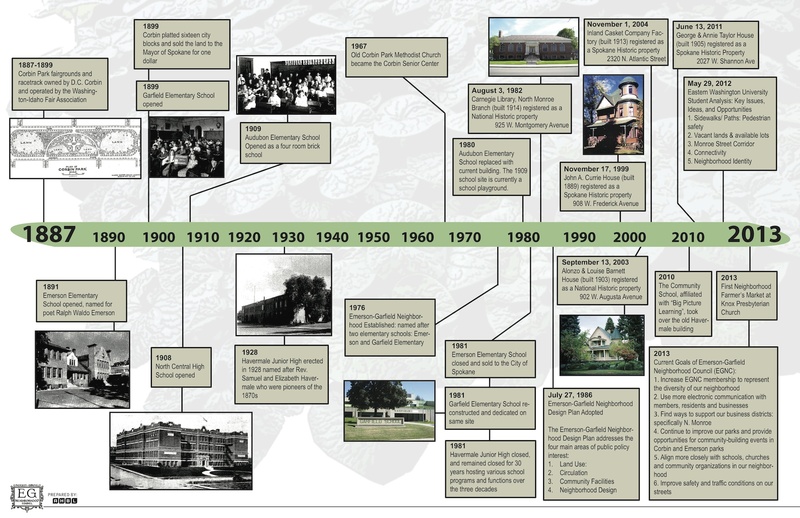 A timeline of historic events in Emerson-Garfield. We’re compiling additional facts and gathering anecdotes for a wider neighborhood history. It would take place faster if you got involved. Why not get in touch and give us a hand?